Exchange common words and phrases in Anishinaabemowin - with friends, neighbours and colleagues! 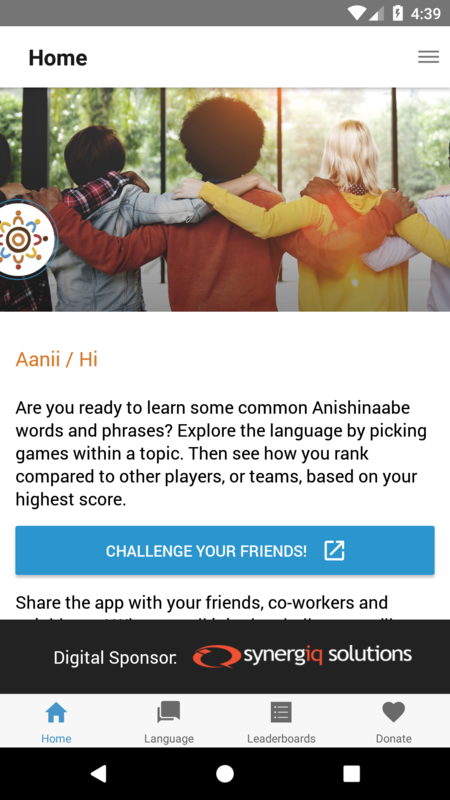 In support of the fundraising efforts, you can download the free, easy Challenge4Change language app to learn, and then see how your highest score ranks alongside others in the friendly competition! We have points, badges and leaderboards! 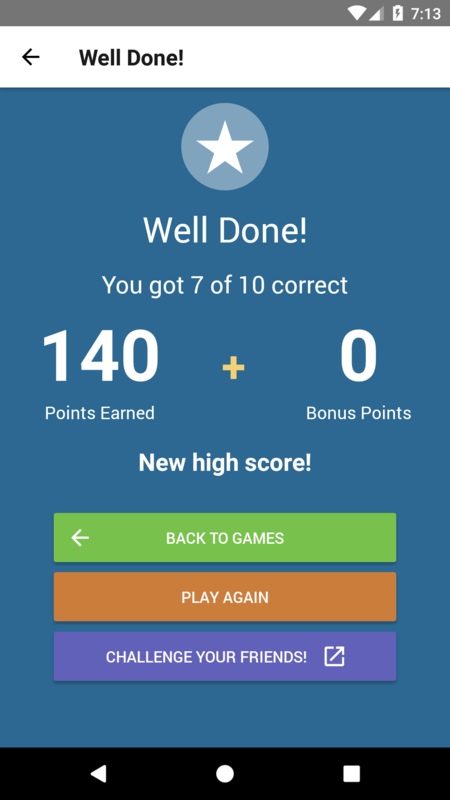 As you progress through each game, you'll earn points as rewards for what you're learning. In addition to badges, your highest score is also ranked against other players in friendly competition! 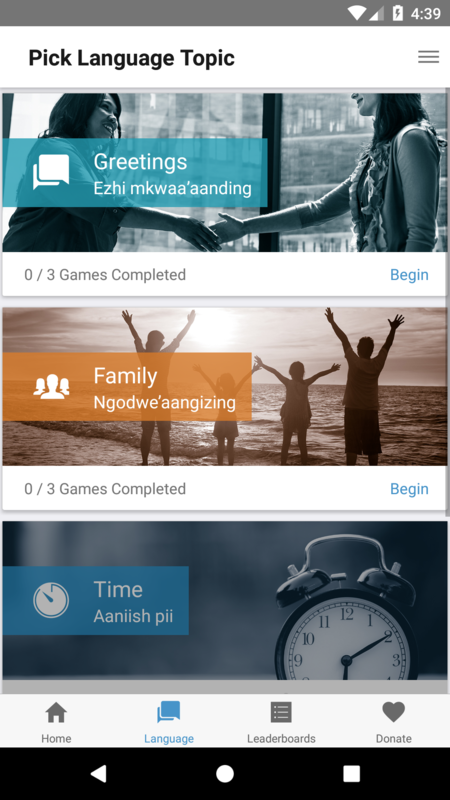 Once you've downloaded the app, you can explore the available topics in any order. The more you play, the more points you earn and the more you learn! 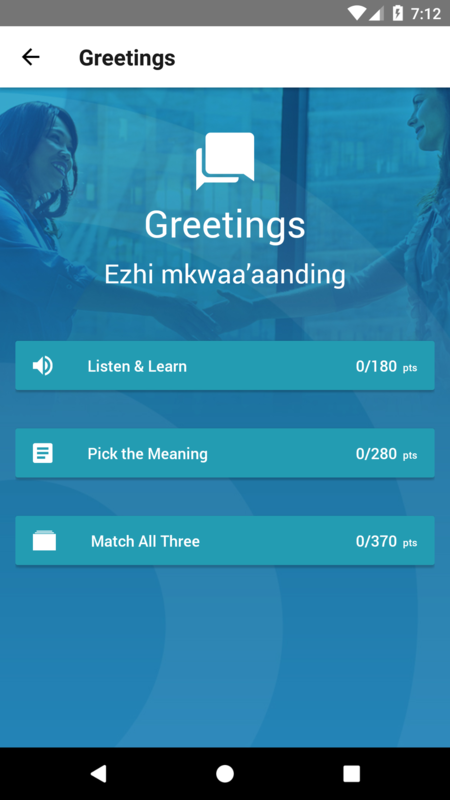 Since language is intrinsic to the expression of culture and identity, we'll be adding a new section on the app in the lead up to National Indigenous Peoples Day - June 21st. We'll look at dances, traditions and other cultural teachings. Fundraise as a team, play as a team! Don't forget! If you're part of a fundraising team, request the code from your Team Captain. Once you add this to your app account, your scores will also count towards your team ranking. Email us today to discuss the opportunities that will reasonate with your employees, peers and customers!